About: Cyanosis is the bluish discolouration of the skin and mucous membranes due to low levels of oxygen in the blood. It is a symptom of an underlying disorder and not a disease in itself. Causes: There are many causes of cyanosis including heart and lung disorders, ingestion of toxins, carbon monoxide poisoning, low blood sugar, low blood pressure, hypothermia, blood clot, and constriction. Symptoms: Can vary depending on the underlying cause but may include blue-tinged skin, gums and tongue, lethargy, loss of appetite, exercise intolerance, difficulty breathing and open-mouthed breathing. Diagnosis: Baseline tests including complete physical examination and medical history, blood count, biochemical profile and urinalysis, listen to the heart and lungs, arterial blood gas, x-rays and ultrasound, echocardiogram. 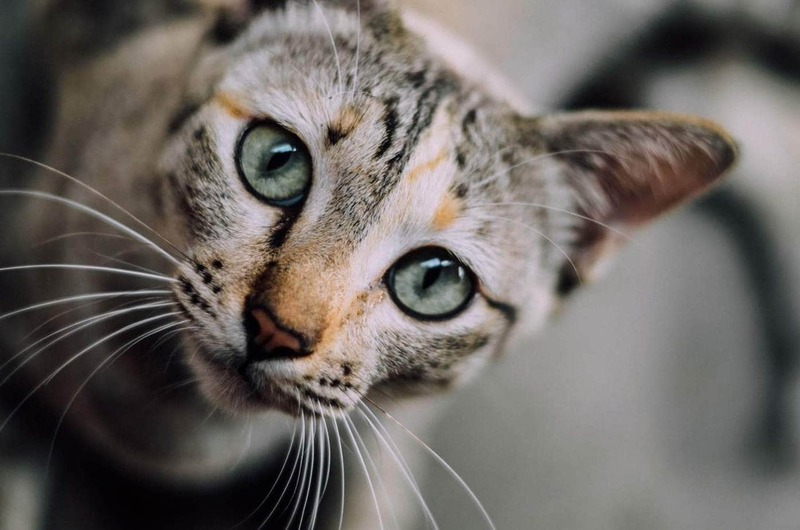 Treatment: Depends on the underlying cause but may include surgery, remove fluid from the pleural space, gastric decontamination if the cat has ingested poison, medications, antibiotics or antifungals, and supportive care such as fluids and oxygen therapy. Cyanosis is the visible blueness to the skin and mucous membranes which is due to hypoxia (low levels of oxygen in the blood). It is not a disease itself but a sign of an underlying disorder which has resulted in low blood oxygen saturation which leads to increased levels of deoxygenated hemoglobin in the bloodstream. Cyanosis occurs either as a result of the heart not working effectively enough to circulate blood around the body, the lungs not being able to deliver oxygen to the blood or ingestion of certain toxins which leads to the abnormal form of hemoglobin which is unable to bond to oxygen properly. Hemoglobin is a protein which carries oxygen to the cells of the body, releasing oxygen into the capillaries. Hemoglobin which is saturated with oxygen is bright red and is known as oxyhemoglobin, hemoglobin not saturated with oxygen is more mucous in colour and is known as deoxyhemoglobin. There are two types of cyanosis, central and peripheral. Central cyanosis – This type of cyanosis occurs when the entire systemic blood is desaturated, and all tissues are affected. Peripheral cyanosis – Due to desaturated blood in a particular region of the peripheral circulation (arms, legs, hand, feet, and tail). It can be due to hypothermia, embolism which blocks blood supply to a particular limb. All causes of central cyanosis will cause peripheral cyanosis; however peripheral cyanosis only typically affects an isolated part of the body. Congestive heart failure – This is a severe disorder where the heart doesn’t pump blood efficiently, causing fluid to build up in the lungs while other organs don’t receive enough blood to function properly. Hypertrophic cardiomyopathy – Thickening of the left ventricular wall which results in the heart not pumping as efficiently as it should. Congenital heart disorders (endocardial fibroelastosis, tetralogy of Fallot, reversed patent ductus arteriosus, aortic stenosis). Right to left cardiovascular shunts which causes deoxygenated blood to pass from the right to the left side of the heart where it is circulated to the rest of the body. Pyothorax – Pus in the pleural cavity. Pleural effusion – Build up of several types of fluid in the pleural space surrounding the lungs. Pulmonary edema – Build up of fluid in the alveoli (air sacs) of the lungs. Pulmonary embolism – Blood clot in the vessels of the lungs. Respiratory paralysis – Such as with tick poisoning. Obstruction of the airway or lungs which could be a foreign object or cancer. Pneumonia – Inflammation or infection of the lungs. Hydrogen cyanide – Stops the cells being able to use oxygen. Carbon monoxide poisoning – Carbon monoxide is a toxic gas which binds to hemoglobin in the lungs forming carboxyhemoglobin which prevents oxygen attaching to the hemoglobin. Methemoglobin – An abnormal form of hemoglobin which oxygen molecules are unable to bind to. There are many causes of this including ingestion of oxidant chemicals such as onion, benzocaine, nitrates, nitrites and most commonly, acetaminophen (paracetamol). Arterial thromboembolism – Usually a blood clot which blocks delivery of blood through the vessel to a particular part of the body (legs, foot etc.). This most often occurs in cats with heart disease. Hypothermia – During times of extreme cold, blood is diverted away from the extremities to protect the vital organs in the core and the brain. Constriction of an extremity such as an elastic band around the tail or limb which cuts off circulation. Symptoms may vary depending on the underlying cause. Central cyanosis reveals blue tinged mucous membranes of the mouth, tongue, and lips. Peripheral cyanosis will reveal blue-tinged skin of the affected area. This can often be hard to see on cats due to their fur and often pigmented paw pads. antifungalsBiochemical profile, complete blood count, and urinalysis are routine tests which give the veterinarian an overall picture of organ function and reveal anemia if it is present. Listen to the heart, which may reveal muffled or abnormal sounds. Listen to the lungs which may sound crackly. Watch respiration which may show a difficulty to expand the chest which may be due to asthma or pneumonia. Arterial blood gas test involves obtaining an arterial blood sample to measure the percentage of oxygen. Your cat will be given oxygen during this test. If oxygen levels are still low, it is indicative of a right to left heart disorder. Imaging of the chest and heart to evaluate for heart and lung disorders, tumours, foreign object. Echocardiogram to evaluate the heart. Pulse oximetry is a non-invasive way to measure oxygen saturation. Lung aspiration or tracheal wash if pneumonia is suspected. This then enables the veterinarian to obtain samples for culture and sensitivity to determine the causative agent and prescribe the best medication. Thoracentesis involves removing fluid from the pleural cavity; this not only relieves compression on the lungs but provides your veterinarian with a fluid sample to determine the underlying cause of pleural effusion. Most importantly, treat the underlying cause as well as relieving symptoms. Most cyanotic cats are very sick and will need to be placed in an oxygen tent until he is more stable. Pneumonia-Antibiotics for bacterial pneumonia, anti-fungal medication for fungal pneumonia. Pleural effusion-Thoracentesis (removal of fluid build up in the pleural space). Foreign objects, blockages, tracheal or laryngeal collapse – Surgery. Hypoglycemia-Administration of glucose to reverse low blood sugar. Paracetamol toxicity-N-acetylcysteine (NAC) is a medication which assists in the detoxification of the drug. Vitamin C can also be of help. Asthma-Bronchodilators to open up the airways. 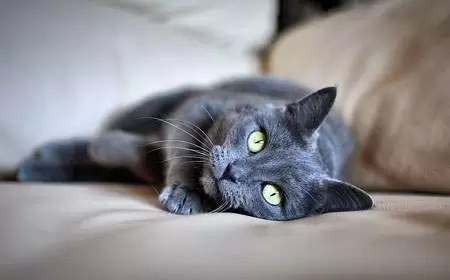 Pulmonary edema-Diuretics to help to flush out excess fluids for cats with pulmonary edema as well as vasodilators to open up the vessels. Hypertrophic myopathy– Beta-blockers, ACE inhibitors, low salt diet and restricting activity. Congestive heart failure-Diuretics to help flush out excess fluids, ACE inhibitors, vasodilators to open up the vessels and help with fluid build up. Low blood pressure-Determine and address the cause of low blood pressure. Also, supportive care may be required such as fluid therapy and nutritional support as well as painkillers if necessary. Blood transfusion may be necessary.